​Panel with Stephen Zacks, Michael Mandiberg and artists Coleen Fitzgibbon, Joe Lewis, ​Ann Messner, Peter Fend, Tom Otterness, Lisa Kahane, Robin Winters and John Ahearn present to discuss Collaborative Projects and art economies. 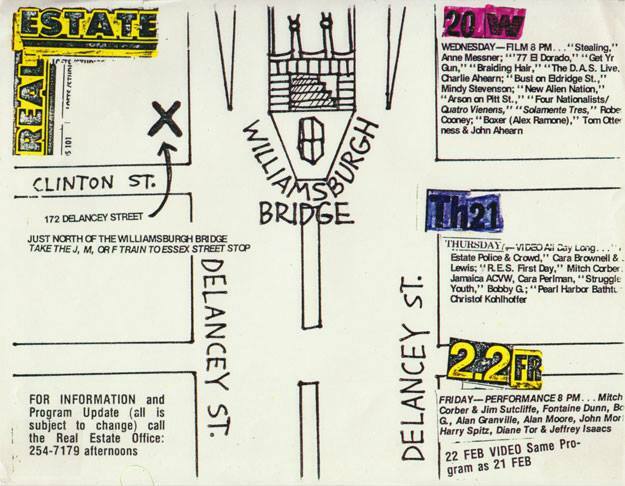 In the late 1970s, artists and artist collectives made art and exhibitions in response to a growing awareness of art’s relation to communities, real estate, and economic development. The members of Collaborative Projects (Colab) created themed group shows, Fashion Moda gallery, the Times Square Show, the Real Estate Show, and the ABC No Rio activist art space, pioneering many of the modes and strategies deployed by socially-engaged artists today. Join us for a discussion with members, including Coleen Fitzgibbon, Joe Lewis, and others, moderated by Stephen Zacks. The event is by RSVP only, as space is limited. To RSVP, send an email to media@artspracticum.org by Sunday, June 26th. Colab is known for its progressively explicit and confrontational approach to art exhibitions. Between 1978 and 1981, the group reacted to the struggle for space in and around SoHo by moving its exhibitions to private studios and lofts, galleries in poorer neighborhoods, and temporary spaces donated by owners. Finally, on New Year’s Eve at the end of 1979, the artists illegally occupied an in rem city-owned storefront as a self-proclaimed insurrectionary act. Despite their greater access to cultural capital, many Colab artists saw themselves as naturally aligned with people of color and classes displaced by speculative real estate development. This discussion is a public session of the New York Arts Practicum, presented as pre-exhibition programming for Michael Mandiberg’s FDIC Insured at the Time Equities, Inc. Art-in-Buildings Program Project Space. FDIC Insured will transform a disused office space, echoing Colab’s approach to challenge the political and social identities of urban spaces. The project is produced by Art-in-Buildings and Denny Gallery.